We have been sharing the fruits of our research at a series of project events around Wales since 2014, accompanied by a touring exhibition. Members of the project team have represented the project at international conferences and also given talks for local societies. Sessions are being planned for the Leeds International Medieval Congress and Celtic Congress in summer 2019. A project conference will also be held in Cambridge for September 2019. An afternoon of talks on the connections between Gloucester and the collection of legendary material concerning Welsh saints. A surviving Life of Dyfrig, adopted as co-patron of Llandaff Cathedral, was rewritten in Gloucester, and other Lives of Welsh saints are thought to have been composed in either the priories of Monmouth or Brecon, but arguably based on material compiled at Gloucester. 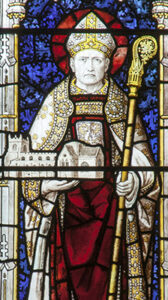 Further saints’ Lives were recorded in a medieval legendary originating in Leominster, the third volume of which is now held in Gloucester Cathedral Library. Speakers: Paul Russell, Angela Kinney, Francesco Marzella and Martin Crampin. An opportunity to meet researchers from the University of Wales Centre for Advanced Welsh and Celtic Studies and the University of Cambridge at the cathedral who presented their work on Welsh saints. The project exhibition was also installed in the cathedral throughout August. An afternoon of talks presenting work in progress on saints in Wales. 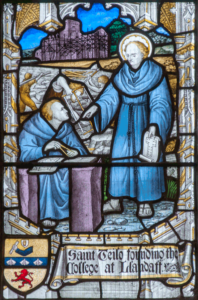 The speakers presented new research on the Book of Llandaff, Lives of Welsh saints, including Dyfrig, Teilo and Euddogwy, patrons of Llandaff Cathedral, and stained glass in the building. 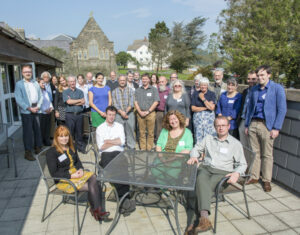 This day conference presented the research from a four-year project editing Welsh Lives, poetry and genealogies of saints in Wales, and launched a new research project on the Latin Lives of Welsh saints. An afternoon of talks about St Padarn and the saints of Wales, drawing on evidence from medieval literature, place names and visual culture. Organised by the ‘Cult of Saints in Wales’ project, University of Wales Centre for Advanced Welsh and Celtic Studies in cooperation with St. Padarn’s Church, Llanbadarn Fawr, and the St Padarn Team 517–2017. 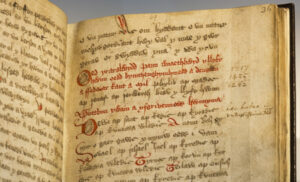 A series of talks and events coincided with the ‘Stories of the Saints‘ exhibition at the National Library of Wales. David Parsons gave a lunchtime talk at the Library on 1 March, ‘Chwedlau’r llan: seintiau Cymru o Benfro i’r Fflint’, and both David and Martin Crampin gave gallery talks on 29 March. Martin also delivered a lunchtime lecture on 17 May and a one-day conference was held at the Library on 3 June. The project held a full session at this international conference (Saints in Wales), including papers by Jane Cartwright, Jenny Day and Martin Crampin, chaired by Janet Burton. An afternoon of talks on St Winefride and Holywell. 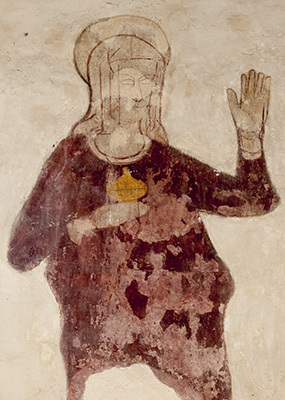 Subjects included the medieval Life of Winefride, medieval poetry to the saint, and the importance of the well to visitors in the Romantic period. There was also a talk on St Winefride’s well with an opportunity to visit the site. An afternoon of talks presenting work in progress on saints in medieval Wales. 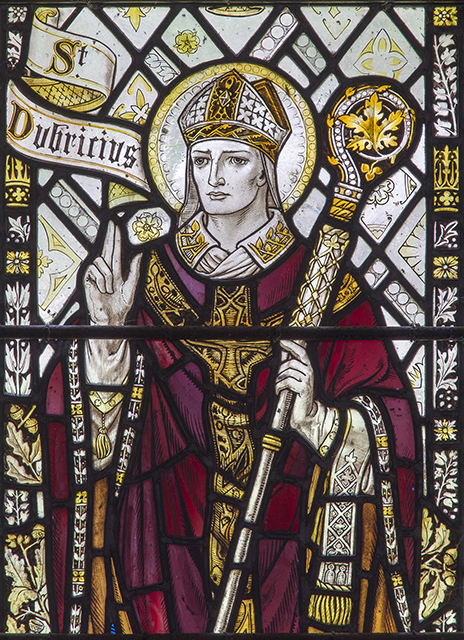 The subjects included the different Welsh versions of the Life of David and the poem to David by Gwynfardd Brycheiniog, as well as images of David and place-names in Pembrokeshire relating to saints. An afternoon of talks presenting work in progress on saints in medieval Wales. 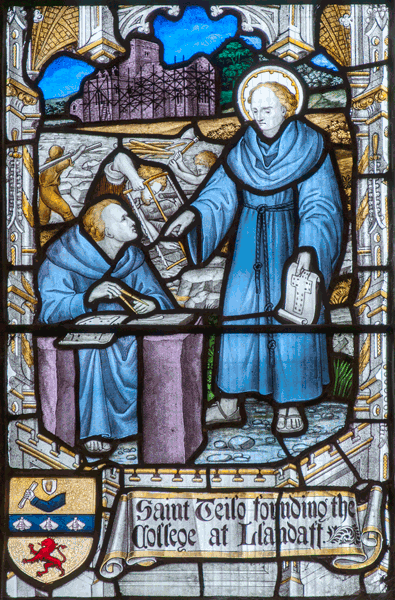 The subjects included the Welsh Life of St Mary Magdalene, the Life of St Illtud, place-names in Glamorgan relating to saints and images of saints in stained glass and sculpture. An afternoon of talks presenting work in progress on saints in medieval Wales. The subjects included new research on local saints, the genealogies of the Welsh saints, and a tour of the cathedral to see images of saints in stained glass. The project held a full session at this week-long conference (Hagiography and History 2 – The Cult of Saints in Wales), including papers by Eurig Salisbury, Alaw Mai Edwards and Barry Lewis, chaired by David Parsons. Martin Crampin also gave a paper in the following session (Hagiography and History 3). For more on Martin’s paper, and another for the ‘The Middle Ages in the Modern World‘ conference at the University of Lincoln, see his blog post. As part of a day-conference on Medieval Breconshire and the Welsh Poets, Eurig Salisbury asked ‘Sut i gael 42 o seintiau mewn un gerdd? 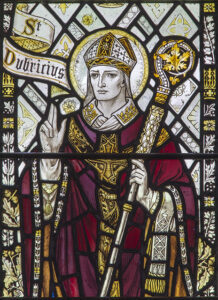 Moliant Huw Cae Llwyd i seintiau Brycheiniog’ (How do you get 42 saints into one poem? Huw Cae Llwyd’s praise for the saints of Brycheiniog). This conference was held as part of the AHRC-funded ‘The Cult of Saints in Wales: Medieval Welsh-language Sources and their Transmission’. The principal aim of the project is to produce an electronic edition of the poetry addressed to saints, the prose lives, and the saints’ genealogies which make up the Welsh-language hagiographical corpus. At the conference some of these texts were examined and discussed; the aim being to locate them in a wide range of contexts. 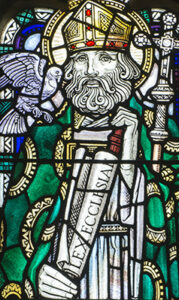 At its broadest, the theme encompasses the whole range of local responses to hagiography across Celtic-speaking countries, Britain and Europe.